Motore:2.8 TD 90CV 66KW COD MOT: 814043R. • RESIDENZA. • CODICE FISCALE O PARTITA IVA. • RAGIONE SOCIALE. Per la Fatturazione Fornire INFO FATTURAZIONE. Link Modulo Reso Online. INFO RESTITUZIONE RESO. 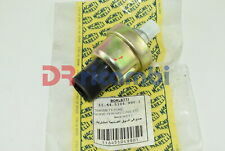 MAGNETI MARELLI 116451049901. MAGNETI MARELLI 116451049901 - VEGLIA 11.64.5104.990.1. SENSORE PRESSIONE OLIO VEGLIA IVECO TURBOSTAR - TURBOTECH. 4741945 TurboStar 190-48 8280.42.001. TurboTech 190-26 8460.21.102 01/1990 - 12/1992 9500 cc 0 0. PER QUANTITATIVI MAGGIORI, SCONTI, DISPONIBILITA' ARTICOLI. il servizioWhatsapp al 392.63.58.873. 2006-11 IVECO DAILY 2.3 TD. 2007 IVECO DAILY. ENGINE INJECTORS & GLOW PLUG WIRING LOOM. ENGINE - 2.3. COLOUR - RED. GEARBOX - 5 SPEED MANUAL. We won’t take any responsibility for the compatibility of parts unless we have explicitly said it will fit. 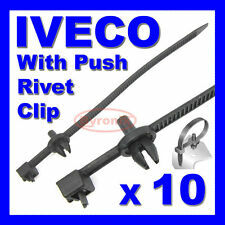 Cablaggio motore di cablaggio cablaggio cablaggio Iveco daily IV 3.0 HPI 504166137. Powstanców Wlkp 11. Piotr Mikolajczyk. L'oggetto dell'asta è Germania - Leipzig. Sie erhalten hier einen Kabelbaum, ausgebaut aus einem IVECO 35 E, Bj. ´04/98, 76kw. Kabelbaum. zu 4 0300 465004 5. zu 2.1 4192 zu 2.2: 0000 0000. Daten/ Schlüsselnr. des Fahrzeugs. Connects2 CT20IV01 Wiring Harness ISO Lead For Iveco. Iveco Daily 1996 Onwards OEM Specific. It will convert the car original power and speakers wiring connector to a standard ISO connector. Simply plug one end of the adaptor into your cars wiring harness, and the other end into your new radio, without the need of tools or cutting of wires. CONNECTS2 CT20IV01 cablaggio ISO condurre per Iveco. Manufacturer Part Number CT20IV01. Iveco Daily 1996 in poi OEM specifico. Link utili. Compatibile con i seguenti veicoli. 12v Pre-Wired Fast Fit Driving/Fog Lamps Spot Lights Wiring Loom Kit with Relay Full Pro Wiring Fitting Kit with Rocker Switch. Ideal for 4x4 and grill rally lamps. You can connect directly to battery or come off an existing live. For Driving and Fog Lamps Provides all the necessary wiring and comprehensive fitting instructions to fit a pair of lamps quickly and effectively. Per ulteriori informazioni su questo prodotto. IVECO 4859411. IVECO 4859411 503472963. PRODOTTO NUOVO ORIGINALE IVECO. Periodo di. IVECO DAILY BATTERY WIRING LOOM. This item has been removed from a: 2002 IVECO DAILY 35S11. MAKE: IVECO. PART TYPE:BATTERY WIRING LOOM. FUEL TYPE: DIESEL. MODEL: DAILY 35S11. All parts are stamped & removal of the marks will invalidate your warranty. Iveco Key servizio di codifica. Servizio di programmazione chiave. Questo annuncio non è per un'unità sostitutiva. HERTH BUSS ELPARTS - 51277295 / 51277295. IVECO - 504388738 / 504388738. Kabelquerschnitt [mm²]: 0,75. Qualität ist ohne Alternative. Ihre Vorteile. Qualität rechnet sich! FIAT - 0504388738 / 0504388738. IVECO REF 500368343. IVECO DAILY. FAISCEAU FIL DE FEU. 12V precablati veloce Fit guida/fendinebbia luci Spot Cablaggio Kit telaio con relè completo cablaggio Pro Kit di montaggio con interruttore a bilanciere. Ideale per 4 x 4 e griglia rally lampade. Può collegare direttamente alla batteria o staccarsi un esistente dal vivo. Per guida e nebbia lampade fornisce tutto il necessario cablaggio e completo montaggio istruzioni per montare una coppia di lampade rapidamente ed efficacemente. 2006 - 2011 IVECO DAILY. 2009 IVECO DAILY 35S12. REAR/BACK DRIVER RIGHT OFFSIDE DOOR WIRING LOOM HARNESS. compatibility tool is just a guide andnot always accurate. Gearbox - 6 speed manual. Body type - MWB. 2006-11 IVECO DAILY. 2007 IVECO DAILY. POSITIVE RED BATTERY CABLE WIRING LOOM. COLOUR - RED. We won’t take any responsibility for the compatibility of parts unless we have explicitly said it will fit. 2006-11 IVECO DAILY. 2007 IVECO DAILY. FRONT DRIVER RIGHT OS DOOR HARNESS WIRING LOOM. COLOUR - RED. ( MANUAL WINDOW ). GEARBOX - 5 SPEED MANUAL. Iveco Daily 35S12 2005 2.3 Cavo positivo Diesel (batteria) VEI3075. Produttore: Iveco. Tipo di carburante: Diesel. Gli articoli restituiti in cattive condizioni o avere parti mancanti non saranno rimborsati. 2006-2011 IVECO DAILY. 2007 IVECO DAILY. NEGATIVE EARTH BATTERY WIRING LOOM LEAD CABLE. COLOUR - RED. GEARBOX - 5 SPEED MANUAL. We won’t take any responsibility for the compatibility of parts unless we have explicitly said it will fit. As used on Many Iveco Models especially in the engine bay area. 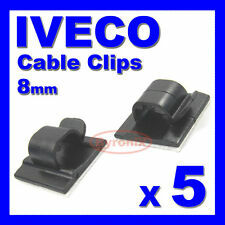 The Iveco part number is 93924207, so if it is that is what you need then these will fit. Includes a fixed push rivet clip to fit into a 8mm hole to hold the tie in place. 2006 -11 IVECO DAILY. 2009 IVECO DAILY 35S12. Gearbox - 6 speed manual. compatibility tool is just a guide andnot always accurate. Body type - MWB. Artykuły z łamane lub nie istniejących plomb, etykiet lub pieczęcie jako nieważne w stanie dostawy. Switzerland De 17,09EUR. Spain De 15,99EUR. Poland De 15,99EUR. Netherlands De 15,99EUR. Canada Da 33,44EUR. FIAT 500X (334) 2.0 D Multijet 4x4 09.14 100 136 1956 Bj. FIAT 500X (334) 1.3 D Multijet 06.15 70 95 1248 Direkteinspritzung. PEUGEOT BOXER Bus 3.0 HDi 160 04.06 116 156 2999 Bj. Motorcode D13A 8306-ABS. 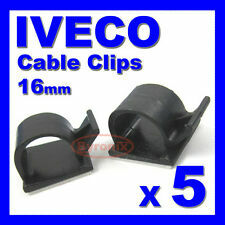 As used on many Iveco Models to keep wiring tidy. Delta Integrale. Brown, Air Temperature Sensor. Ford Cosworth. for Weber IAW systems on 048 906 161 1. Riparazione sensore di pressione rail Kit cablaggio cablaggio spina. Si prega di confrontare la foto del prodotto. Informazioni di prodotto Marke Hausmarke. SKU: 34861. Sensoren spielen dabei die Rolle von „Sinnesorganen“ im Fahrzeug. Bosch-Sensoren: „Sinnesorgane“ des Kraftfahrzeugs. Bosch-Sensoren haben sich in Millionen Kraftfahrzeugen im rauen Einsatz bewährt und finden auch in der Industrie Anwendung. Abs Sensors. Clutch Kits. Belt Tensioner Wheels & Bkts. Brake Callipers. Brake Discs. Brake Master Cylinders. Brake Pads. Connecting Cable.